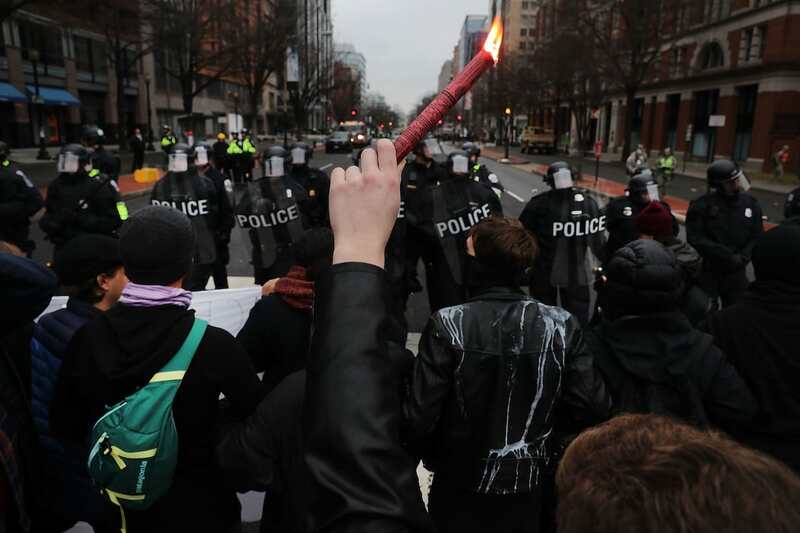 After riots broke out in Washington DC during Donald Trump’s inauguration, prosecutors are pursuing charges against 230 people who were arrested on Friday. These individuals will be charged with felony rioting which is punishable by up to 10 years in prison and a fine of up to $25,000. Though most of the protest was peaceful, some people turned violent, breaking shop windows, setting cars alight, and throwing bricks at the police. The first group of ten men appearing in the Superior Court were released on the condition they not get re-arrested, while many others are due to reappear in court in February and March. 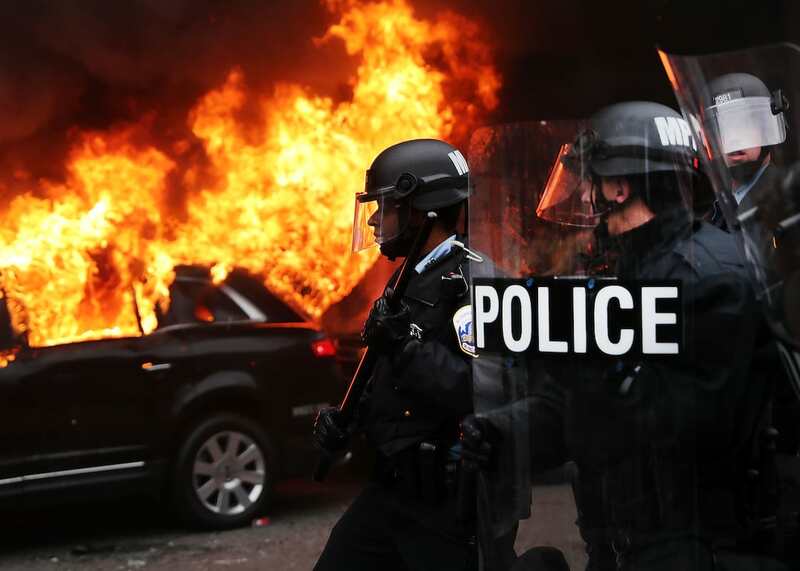 DC law defines felony rioting as a group of at least five people who, ‘by tumultuous and violent conduct and the threat thereof’, cause ‘serious bodily harm’ or property damage valued at more than $5,000, Buzzfeed reports. 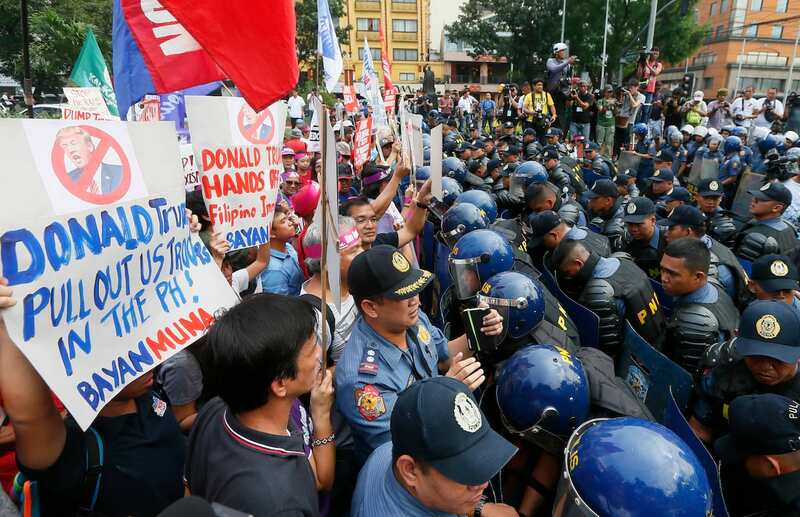 During the chaos, at least six police officers were injured and were forced to deploy pepper spray, stun grenades, tear gas and draw their night sticks. 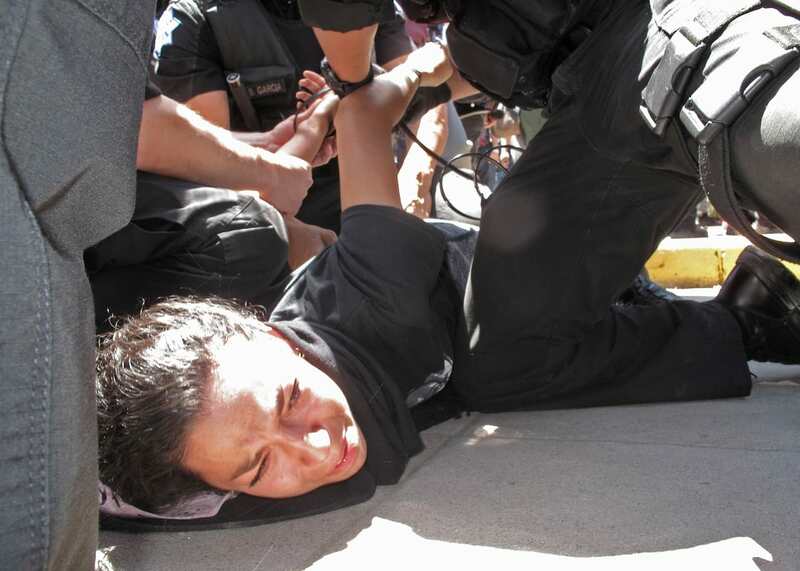 Riot police moved in with pepper spray aimed at protesters in a bid to disperse them – among those hit were Hawk Newsome, leader of Black Lives Matter in New York. Broadcaster Larry King reported that the windows of his SUV were smashed by protesters while he was working in the studio. A limousine was set alight in front of the Washington Post building before rioters wrote ‘We the People’ onto the side of it. Trump’s presidential inauguration was met with vast empty spaces, and has triggered millions of people all over the world to protest, branding him anti-women, anti-LGBTQ, anti-climate change and racist.